There's a new exhibition on at the Contemporary by artist Michael Beutler. A strange one too, as he has rebuilt his exhibition that he had at Spike Island in Bristol, and it's called Pump House. The exhibition basically consists of rooms that have been made out of recycled materials and rubbish. It's certainly different, and colourful in places, where he has made walls out of card, or plastic bags stuffed into small wire cages. 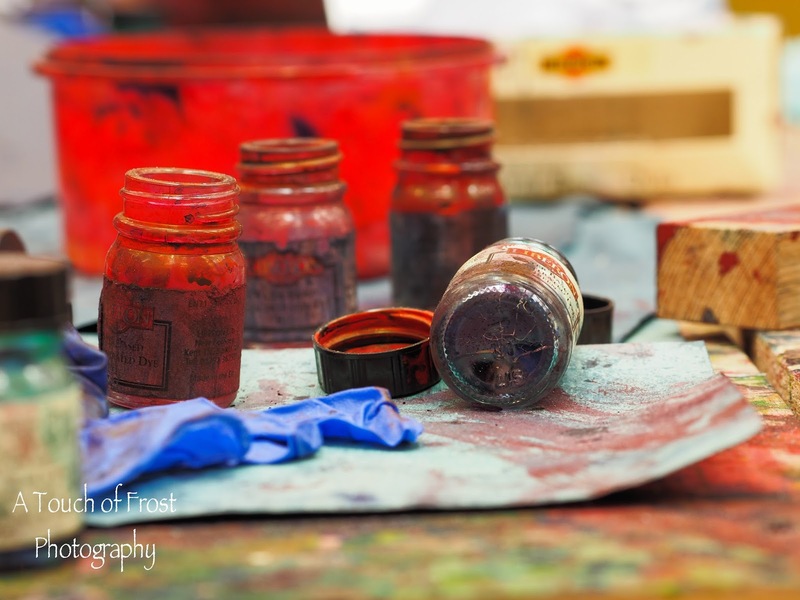 But my photographic eye spotted this little still life scene of some jars of paint randomly placed in a group, contrasted by a blue rubber glove.